None of us can deny the fact that gin has made the comeback of the century. Everywhere I turn, there's new gin-related news. Whether it's an exciting new brand of gin, or a groovy new bar... I can't get enough. That's why I was so excited to learn that Ireland's best G&T had been selected. 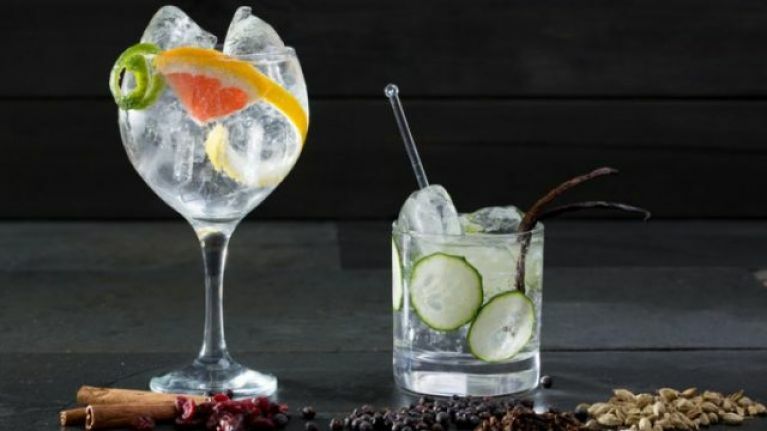 The G&Ts served at Russell's Saloon & Gin Emporium in Dundalk have been voted the best in Ireland. Votes were cast during The Irish Gin And Tonic Festival, where Russell's Saloon took the crown. "Everybody is so curious about Irish gin these days and they were excited to meet the distiller of our festival gin. Our choice of using fresh pear with the blueberries went down a storm with our customers as they said the garnish really brought out the fruit in the gin and the bitterness in the Fever Tree tonic." Gorgeous gin aside, Russell's Saloon has a wonderful little beer garden, plenty of other refreshing tipples, and loads of craic. If you need me, I'll be in Dundalk.